The kitchen is one of the most remodeled rooms in the house and is constantly undergoing changes as homeowners try to keep up with the latest technology and products. Fortunately, these remodels don’t have to be expensive and it isn’t impossible for your client to have the kitchen of their dreams. Visit ProSource® of Columbus West today and we’ll set you up with the best kitchen features on the market at unbeatable wholesale prices. 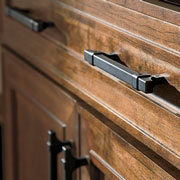 The possibilities are endless when it comes to choosing top-quality kitchen cabinets at ProSource of Columbus West. Bring your client in to our showroom today and we’ll help them pick out the best cabinets to accent their brand new kitchen, including our name-brand cabinets made of wood and other fine materials. If your client wants to dress up their cabinets with hardware that is both attractive and practical, point them to our selection of pulls, hooks, knobs, pendants, and cabinet lighting. 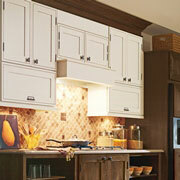 We are confident they’ll find the perfect accessory to match the style of their kitchen remodel. Purchasing a brand new countertop can be one of the most financially frustrating aspects of any kitchen remodel, but this isn’t the case when you shop at ProSource of Columbus West. 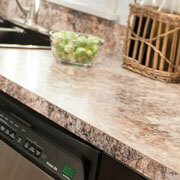 We offer a wide variety of fine granite, marble, and quartz countertops that you can buy at wholesale prices today! The perfect sink for your client’s new kitchen depends entirely on their lifestyle, cooking habits, and the size of their family. 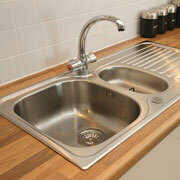 At our showroom, we offer many different kitchen sink styles, sizes, and types that can fit the needs of any client. If your client’s old kitchen had a faulty faucet, don’t set them up for failure with another knock-off from some retailer down the road. 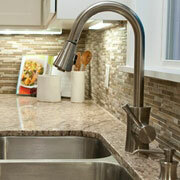 Come to ProSource and browse our collection of pull-out, pull-down, pot filler, beverage, and standard sink faucets today!